Brussels and waffles, celebrating 450 years of Bruegel. At that time, Brussels had already become the epicentre of political power. In 1515, it became the official residence of Emperor Charles. He ruled from the colossal Coudenberg Palace that rose majestically over Brussels. 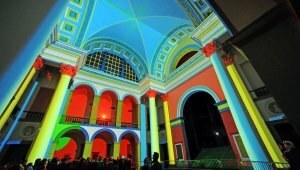 You can still visit what remains of this historic building today. 1. Take a good look around the Chapel Church where Bruegel is buried. 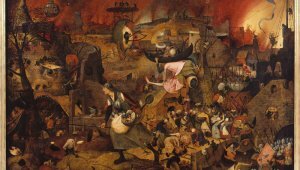 The works of Pieter Bruegel the Elder are as vibrant as ever. Ten characters escape from this Flemish Master's paintings 450 years after his death. They are coming together to honour the man that painted them. And what better place to do that than the Chapel where Bruegel is buried. 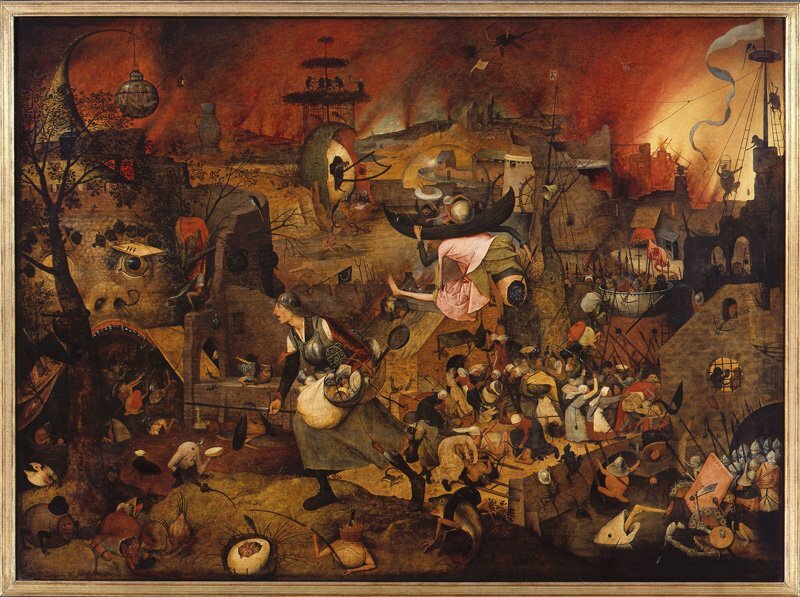 Look around the church carefully, because just like Bruegel's paintings, a completely different world awakens. 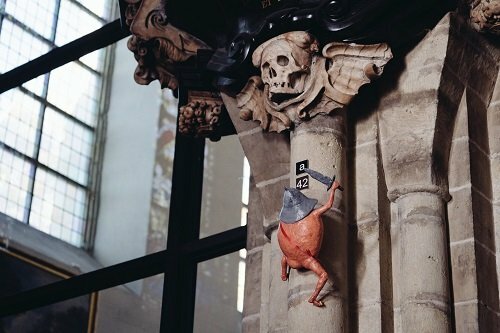 Jan, Bruegel’s son, wanted to honour the memory of his parents with a memorial stone in the Kapellekerk. His good friend - none other than Peter Paul Rubens - produced the painting ‘Christ Giving the Keys to St. Peter’ for this purpose’. 2. 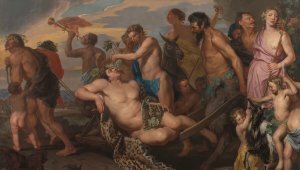 Admire the paintings in the Museum of Fine Arts of Belgium afterwards. 3. 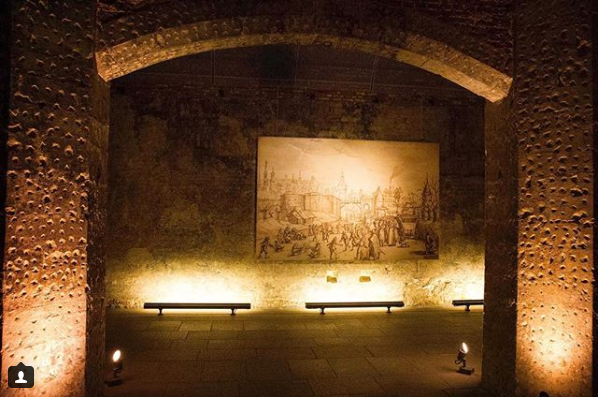 Visit the remains of Coudenberg Palace where Emperor Charles lived; an ideal destination for a rainy day. Even the very youngest will have a great time, thanks to a tailor-made route specially for them. 4. Discover the old city. The Zavel (Flemish) or Sablon (French) is a neighbourhood and hill in the historic upper town of Brussels that would have been very familiar with Bruegel. In the 16th century, leading noble families – such as the Egmont, Culemborg and Brederode families – took up residence at the top of Zavel hill and in Wolstraat. Other families, such as the Lalaing and Thurn and Taxis families, later followed suit. As a result, in the 17th century, the Zavel grew to become one of the most aristocratic and prosperous neighbourhoods in the city. This may well have been the reason why Bruegel set up his painting studio in this area. If you are there at the weekend, be sure to visit the Zavel antiques market (Saturdays from 9.00 a.m. to 5.00 p.m. and Sundays from 9am to 2pm). 5. 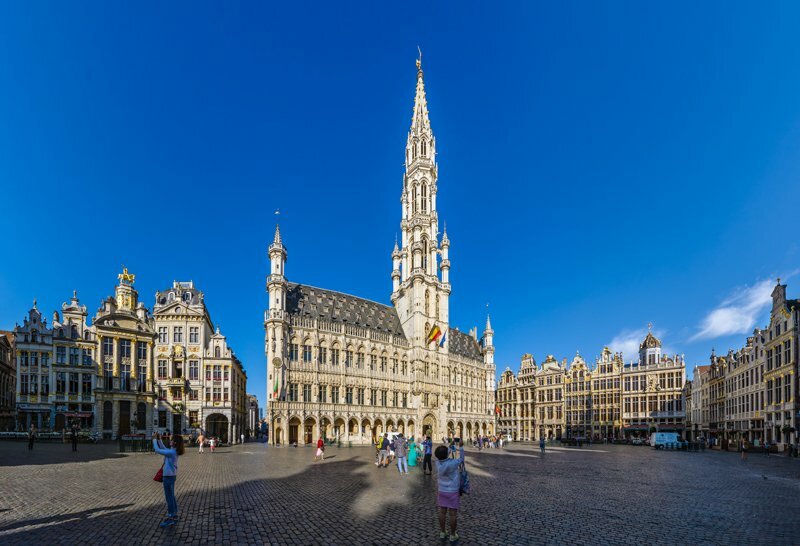 Stand in the middle of the Grand Place and admire the different architectural styles. The square, renowned for its aesthetic and historic opulence, is surrounded by the town hall, the Broodhuis and the many guild houses. 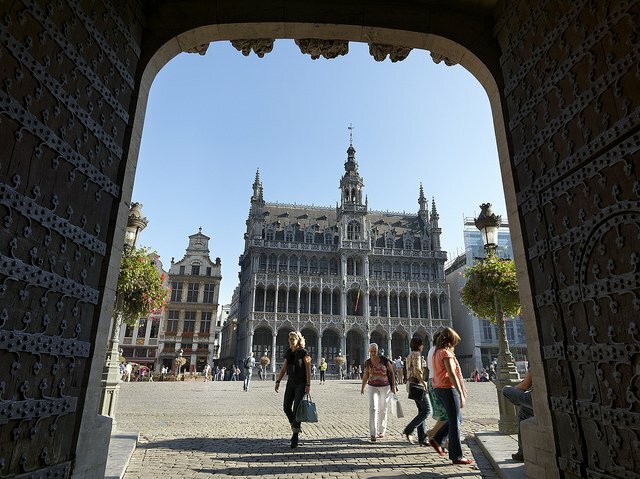 The Grand Place in Brussels is considered to be one of the most charming squares in the world. This was also the view shared by the great French writer Victor Hugo, who once lived there. The Grote Markt in Brussels has been on the UNESCO World Heritage list since 1998. 6. The Church of Our Blessed Lady of the Sablon (De Onze-Lieve-Vrouw ten Zavelkerk) was built in the late Gothic style in the 15th century. 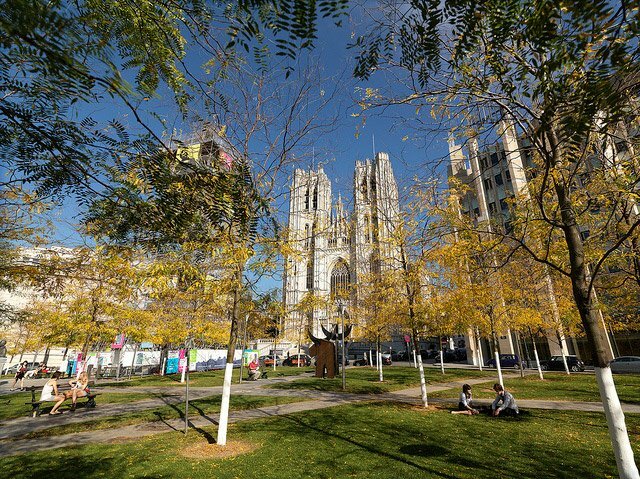 This impressive building is one of the last significant Gothic buildings in the capital city. In the corner between the choir and the transept, Frans von Thurn und Taxis (an important noble family) had a family burial chapel built, which was dedicated to St. Ursula. He ordered a series of four tapestries to decorate the chapel. One of these tapestries can still be seen at the Brussels City Museum, located in the Broodhuis on the Grote Markt. 7. 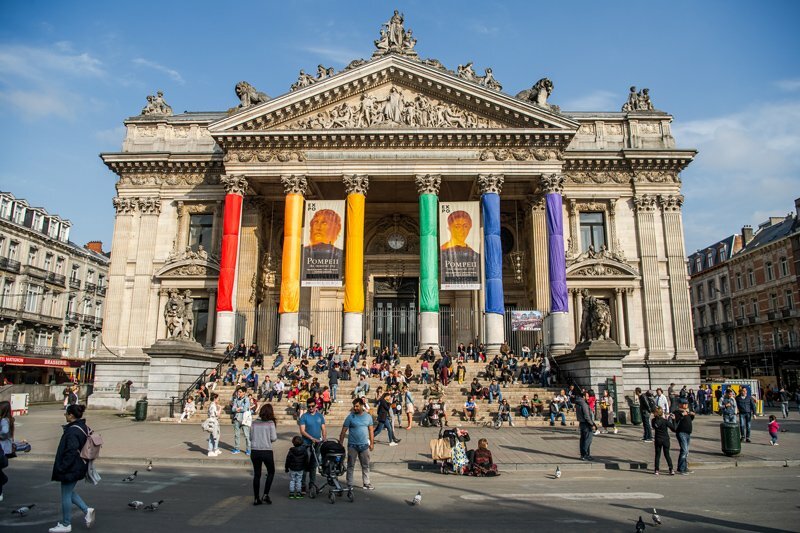 Brussels City Museum is a museum that is dedicated to the history of Brussels. It houses an extensive collection of paintings and sculptures from a variety of periods, tapestries from the 16th and 17th centuries, retables from the 15th and 16th centuries, models (including a city layout from the 13th century), as well as more recent objects, such as the vast collection of clothes worn by the Manneke Pis. 8. 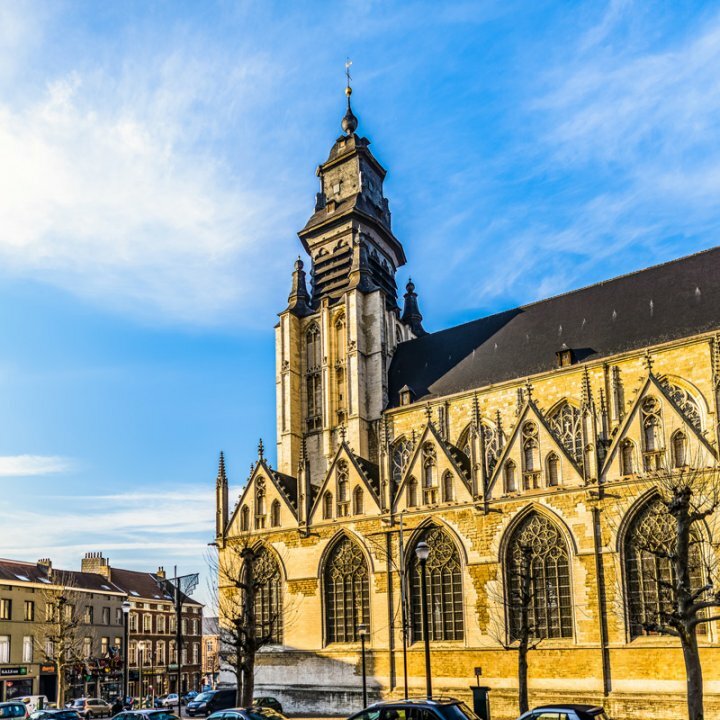 The Cathedral of St. Michael and St. Gudula with its stained glass windows designed by Bernard van Orley, an important painter and illustrator from Brabant and a member of the Northern Renaissance. He was also a leading designer of tapestries and stained glass windows. 9. Take a walk to the Brussels Stock Exchange where the money, and thus the power, could be found. 10. 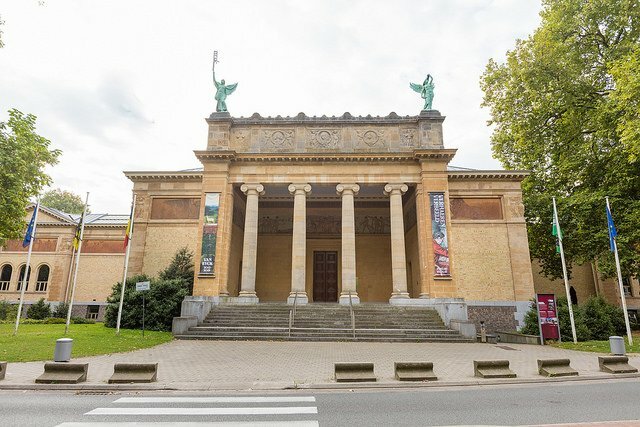 Admire the unique collection of tapestries at the Art & History Museum (KMKG) in Cinquantenaire Park. In Bruegel’s time, tapestries were worth more money than paintings. 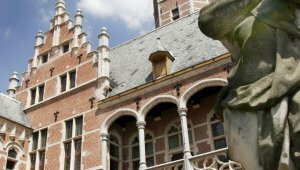 Would you like to experience more of Bruegel in Flanders? Visit the Museum Mayer Van den Berg, with its unique ‘De Dulle Griet’. Plan your visit. 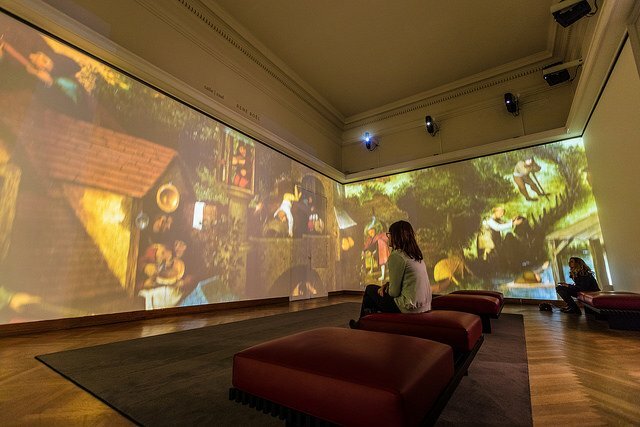 Visit the Museum of Fine Arts where works by Pieter Bruegel the Younger are on display. Plan your visit. 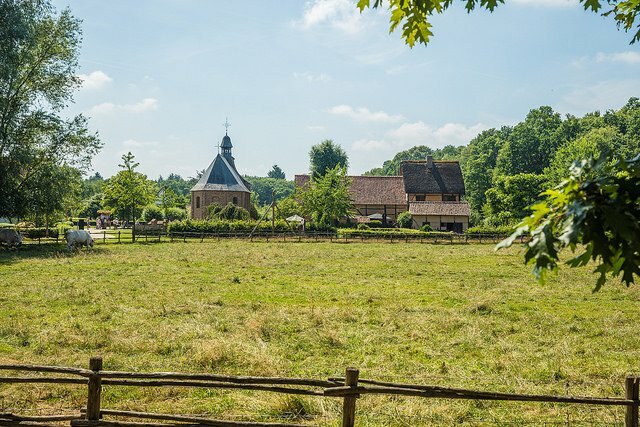 Many of the buildings, objects and sights you'll come across in Bokrijk look as though they have just walked out of a Bruegel painting. Visitors to the major exhibition ‘The World of Bruegel’ (from April 2019) will be fully immersed in the life and work of the great master. Plan your visit. 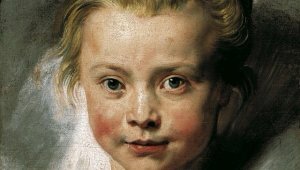 If you want to make sure you are seeing a 100% "real" Rubens, you should seek out his small oil sketches. Rubens and Antwerp, Gaudi and Barcelona, Warhol and New York. The city was their muse and in turn, their genius helped to shape the city. 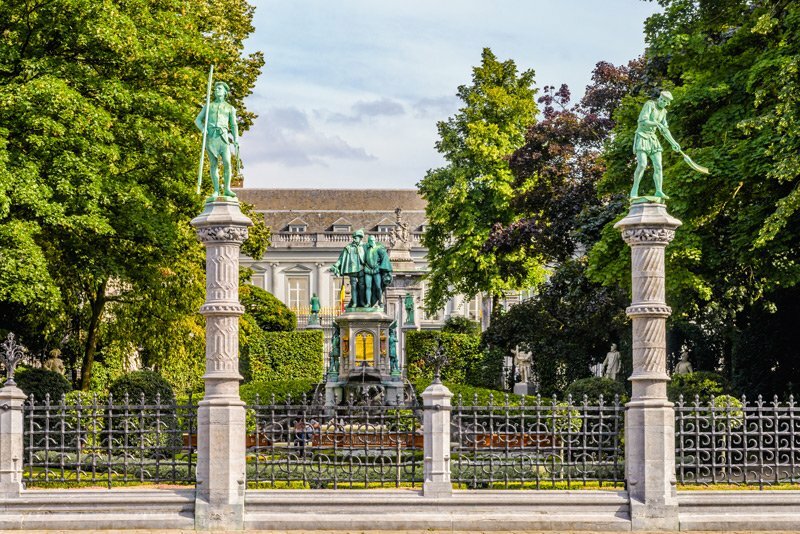 Antwerp is a must-visit for true art enthusiasts.